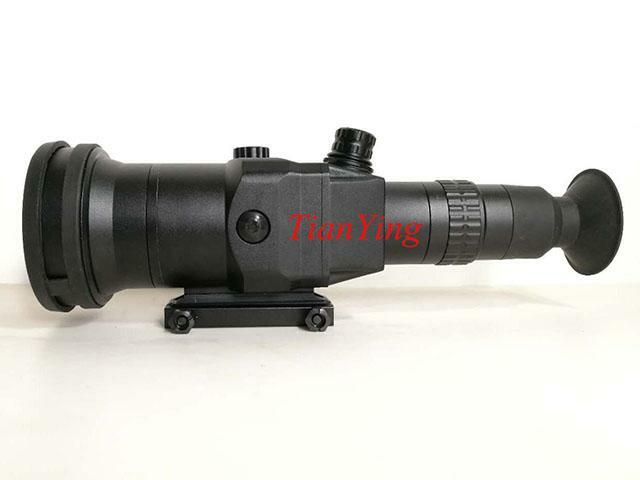 China TianYing T75 1000m sniper thermal sight/ thermal imaging riflescope fits on .308, .338 and .50 caliber sniping rifle mainly, delivers superior accuracy and rugged performance under the most extreme shooting conditions. It allows .50 caliber snipers to recognize man-size targets in excess of 1,000 meters, long-range optics coupled with an HD display provides crisp imagery, and portrait orientation compensates for bullet drop at extreme ranges. 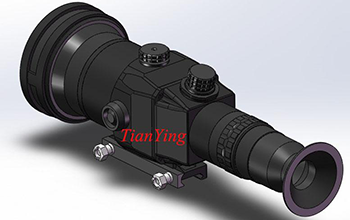 T75I sniper thermal sight aim man 25m, 75m, 100m: at 25m can clearly see baby face and baby image size can be 1/2 for full image high, at 75m 1.5m high person image size is about 1/3 for full image high, 1.65m and 1.75m high person image is bigger than 1.5m high person, also can see the image is clear and sharp that can compete with many 640x480 chip detector theamal weapon sight. 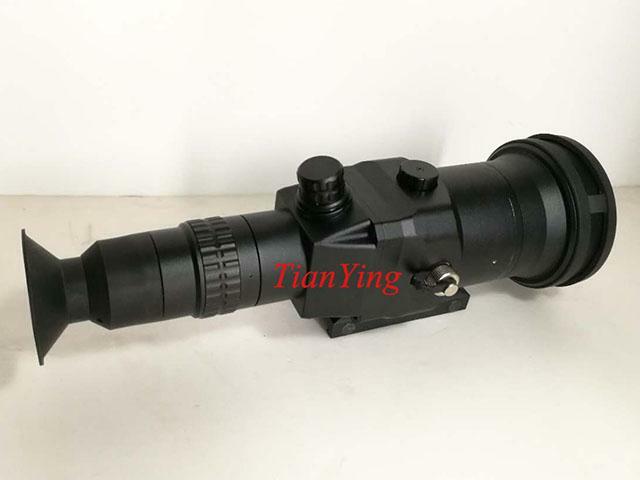 T75I thermal weapon sight see person at 600m, 850m, 950m-without digital zoom, at 600m can clearly see man's two legs; at 850m and 950m can confirm the target if is person, maybe some supplier called recognition, also can see the image is clear and sharp that can compete with many 640x480 chip detector thermal weapon sight. 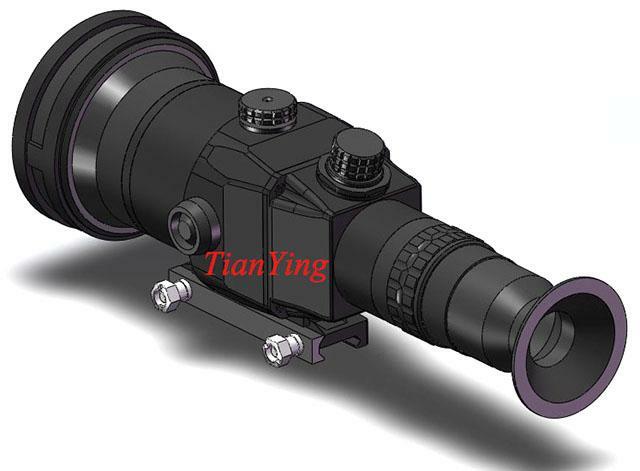 2.5x 50mm lens thermal scopes see person through forest without digital zoom, when man is moving, man image size is fast change. 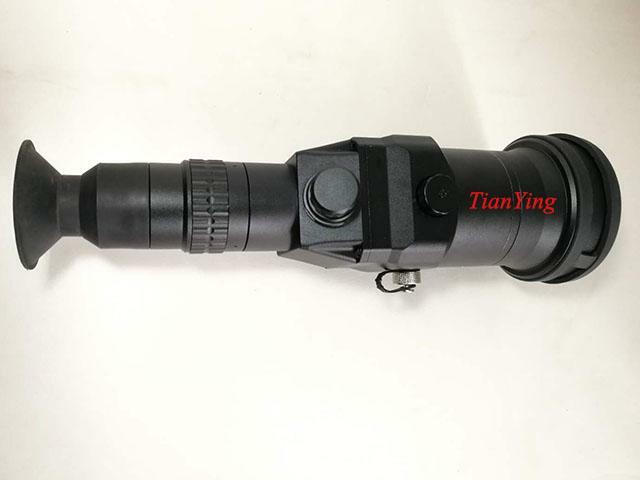 2.5x 50mm lens thermal scopes see 600m man and vehicle with digital zoom, at 600m man image size is a dot, when use for electric magnification/digital zoom, can find this dot - man image target.